This topic contains 7 replies, has 5 voices, and was last updated by Alan Corbin Jan 14, 2016 at 6:46 pm. 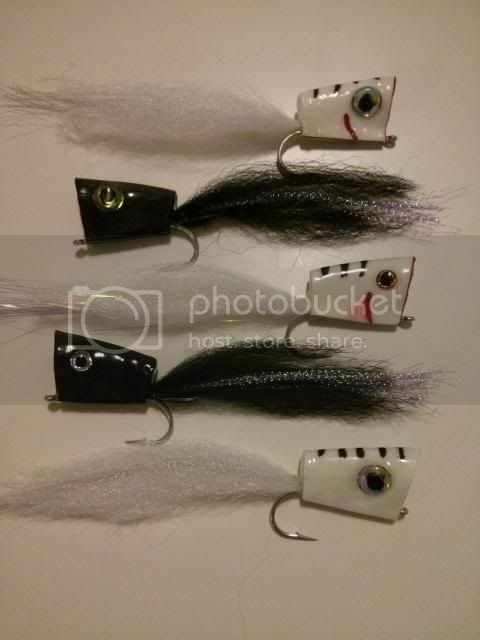 Any of you guys have the recipe for this fly…headed on a trevally trip in April and I REALLY don’t feel like paying 6 dollars per head of NYAP foam…for one to be shipped from the only place I can find them its like 45$ for a single piece of foam for a single fly. Any other poppers you guys like for GT’s? I know there is a better way, I just can’t seem to find anything online. You should be able to make the NYAP heads by yourself for cheap – you just need a relatively thick chunk of foam. You could potentially glue two pieces of the 5mm foam from a craft store together. Alternatively, I’ve had good success with crease flies for GTs (a NYAP is very similar to a crease fly anyway). Tie on the strongest possible hook (e.g., Gama SL12s), and I suggest using bucktail (and flash) for the tail of the fly. 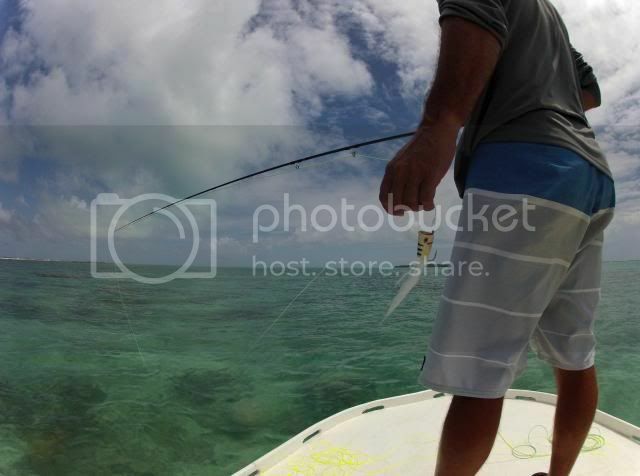 I have used long synthetic tails but they tend to foul, even with mono loops tied in to mitigate the fouling. I’ve also found that you don’t need a very long fly, so bucktail is sufficiently long. I think I am going to work some up this week. If they come out half decent I’ll let ya know. Here are some crease flies that have worked in the past for me. Both colors got eats. The tails occasionally fouled, so I have since started tying them with bucktail. Shorter, stiffer synthetics work well too. I recommend tying a range of sizes too – I’ve heard quite a few reports where smaller crease flies would immediately get smashed, but the fish would spook off the bigger sizes. I would really like to see an SBS on those flies. They looked very very affective. I’d like to give them a try. Are you talking about those crease flies I posted a picture of above? I can try to put together a step-by-step and post it here. Pretty busy at the moment with a few other projects, but I’ll try to put it together soon. In case you are looking for a video I rand across this one.